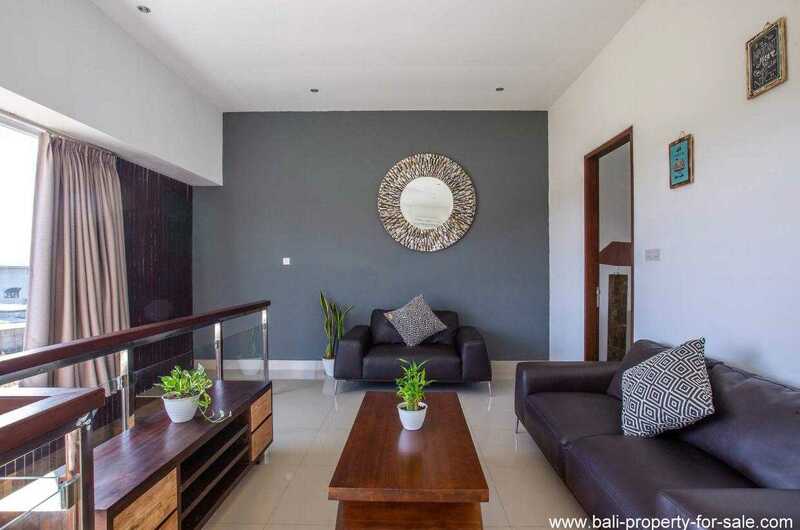 Very large townhouse for sale with 3 bedrooms. 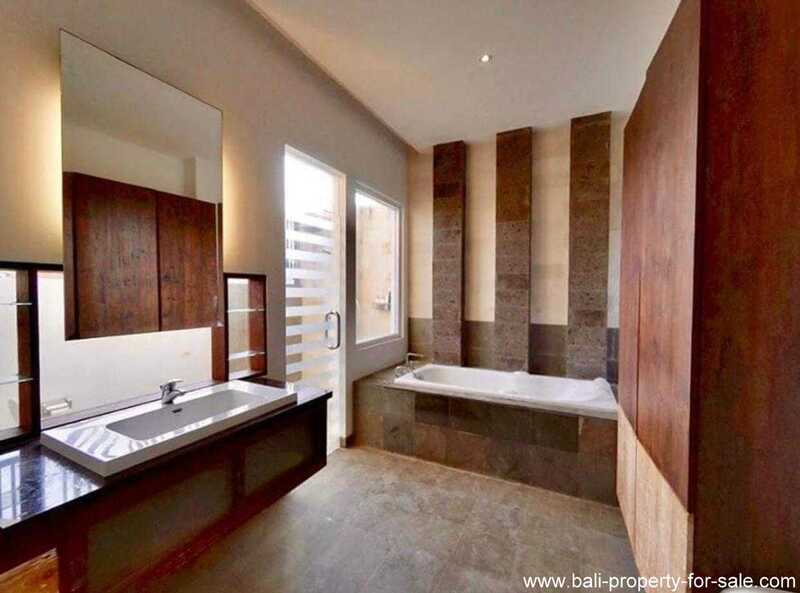 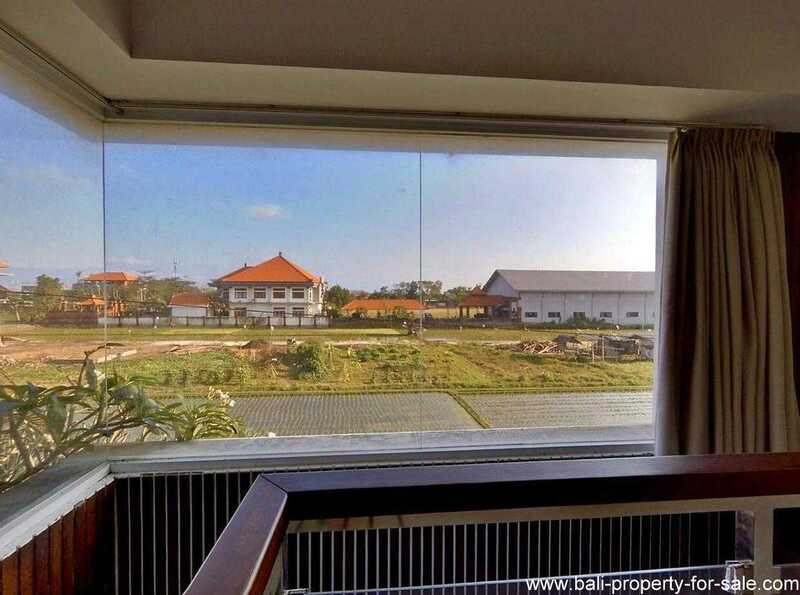 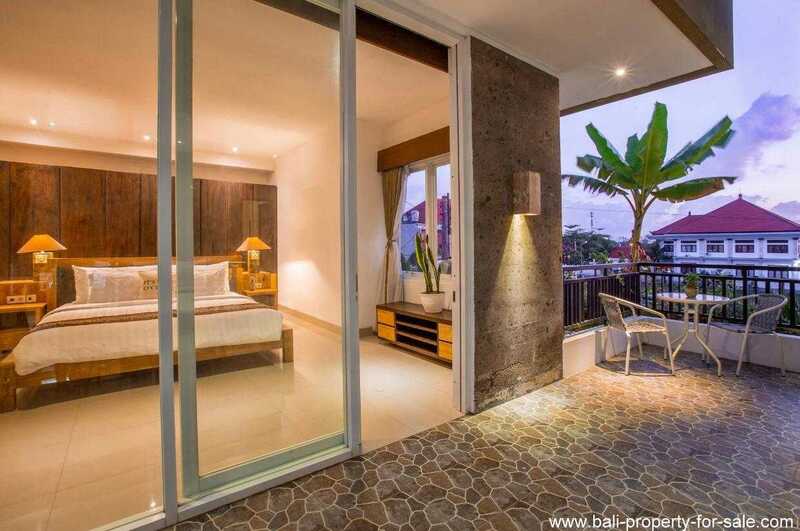 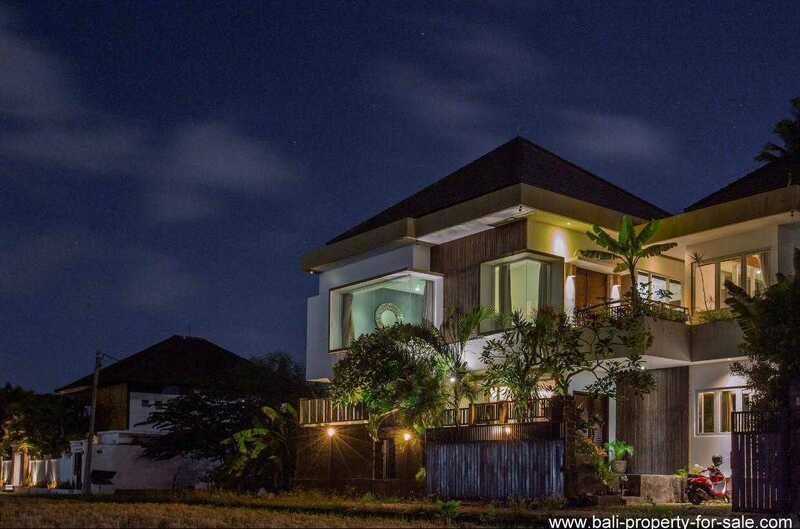 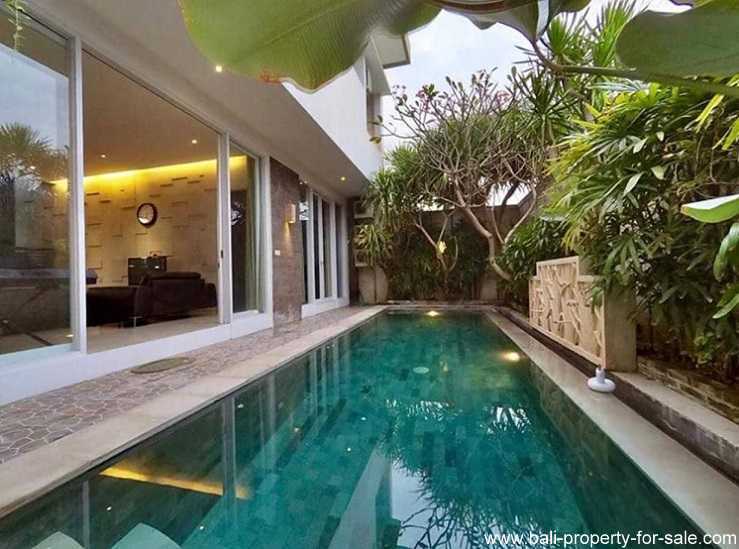 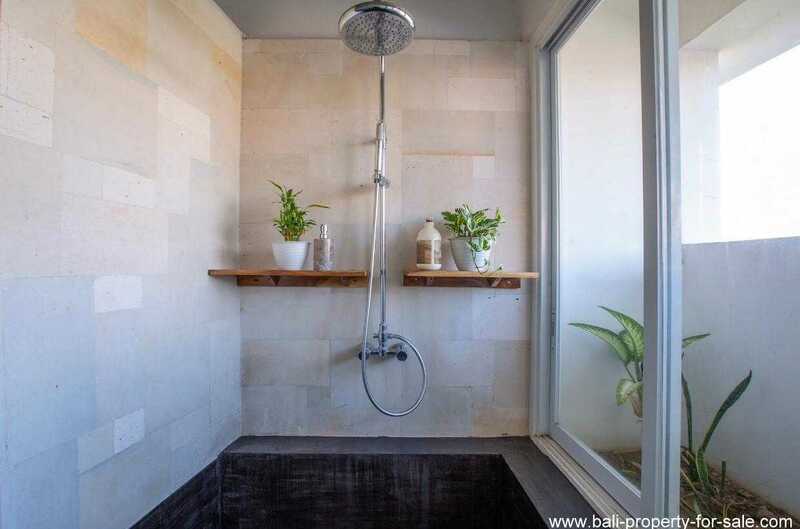 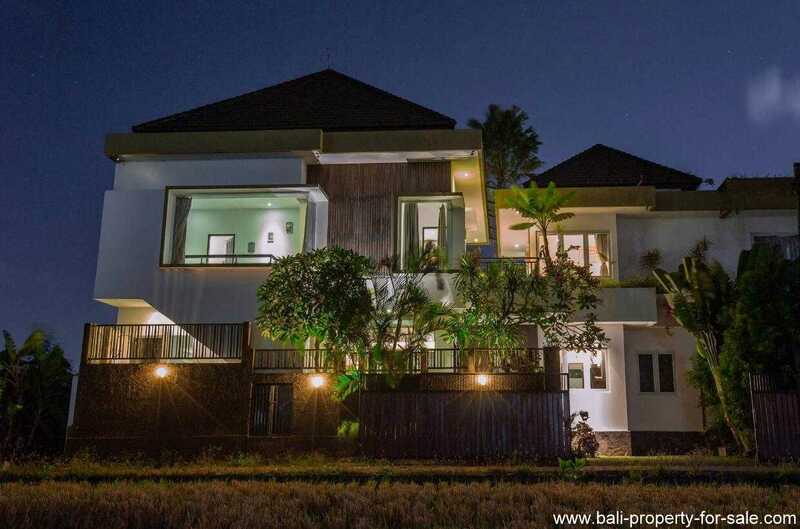 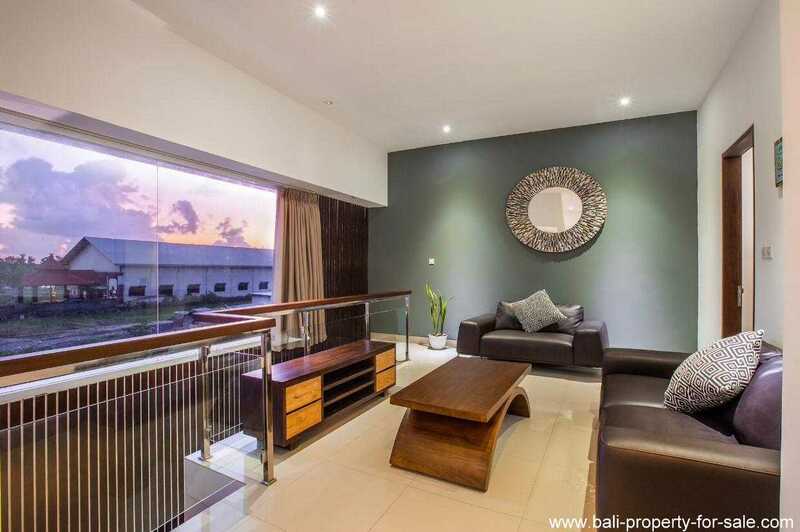 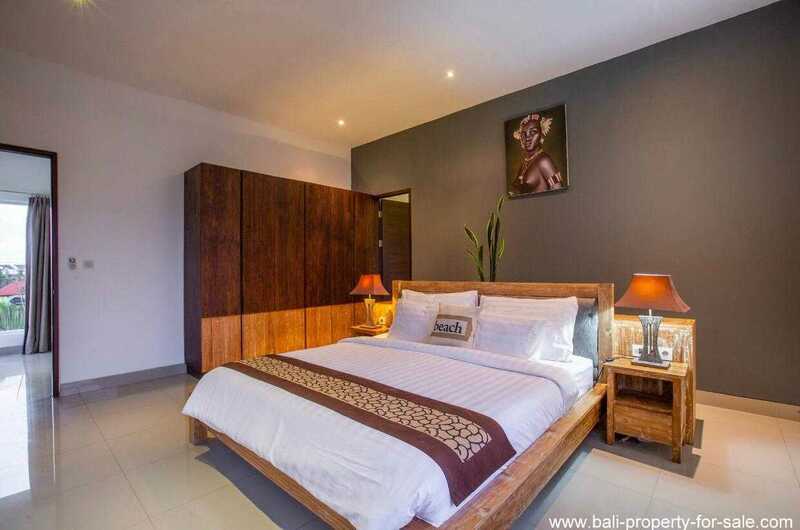 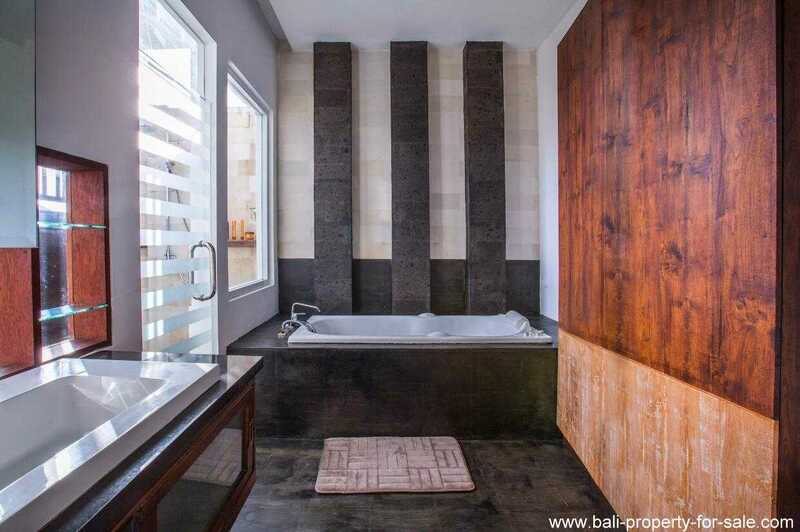 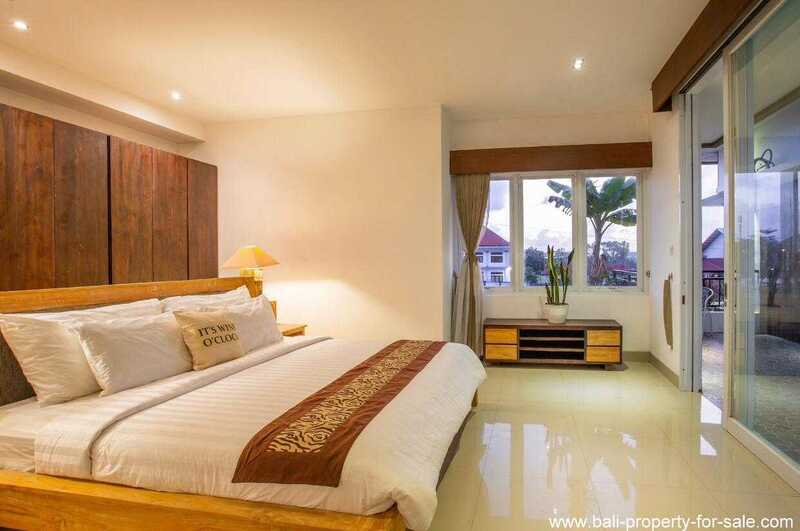 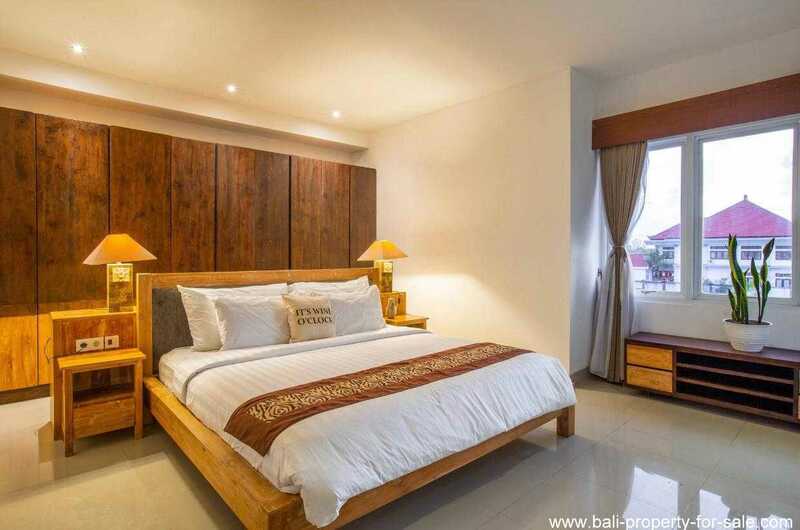 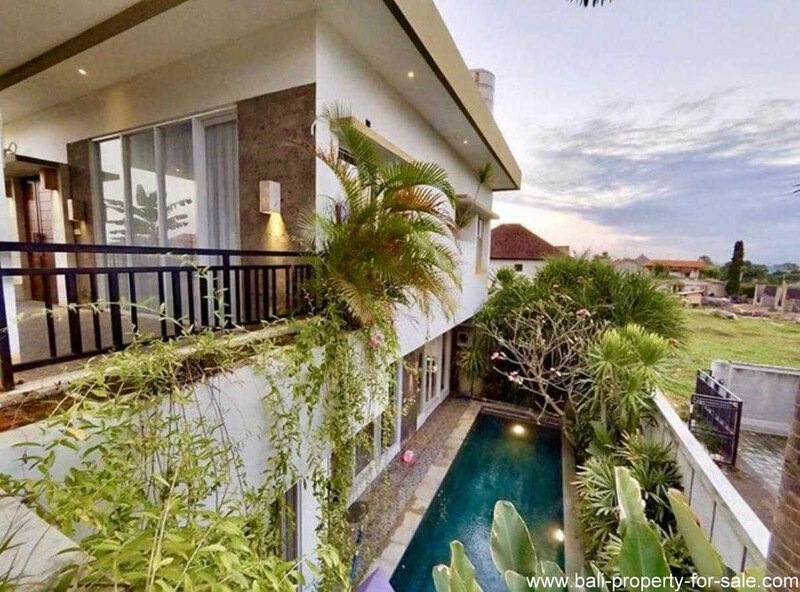 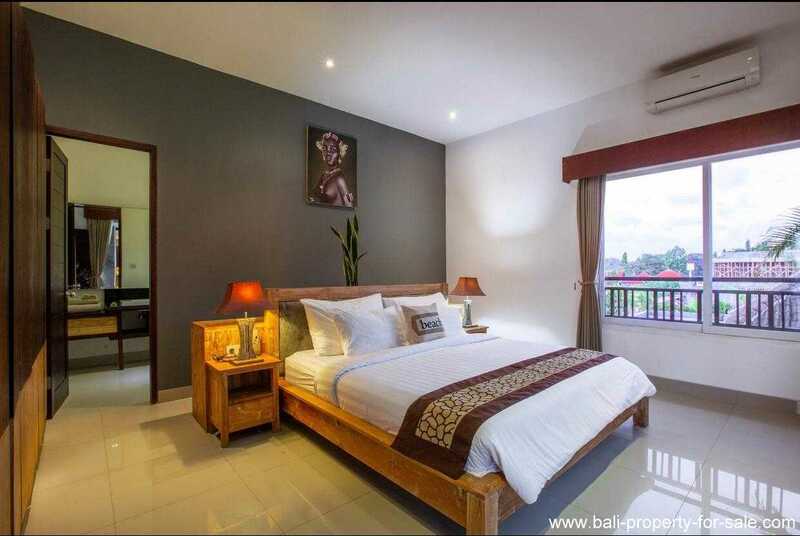 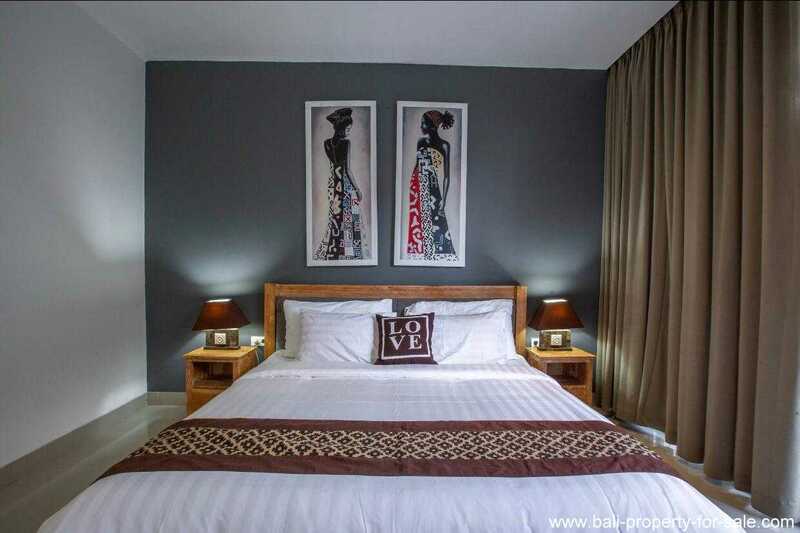 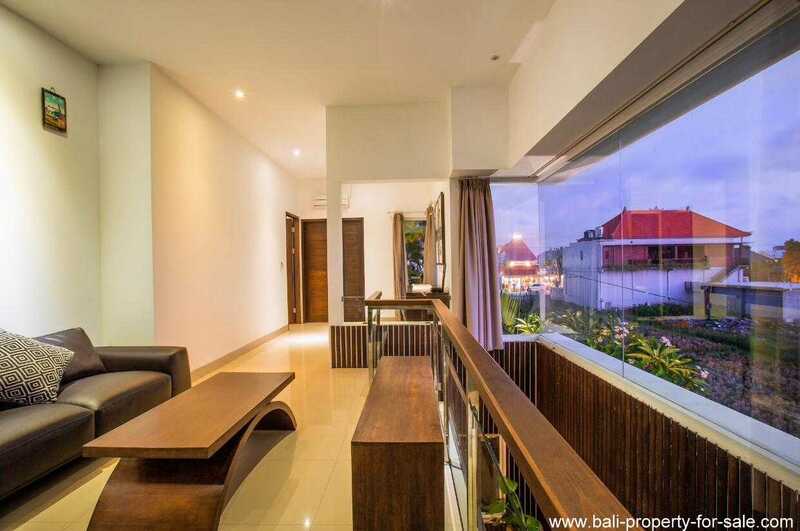 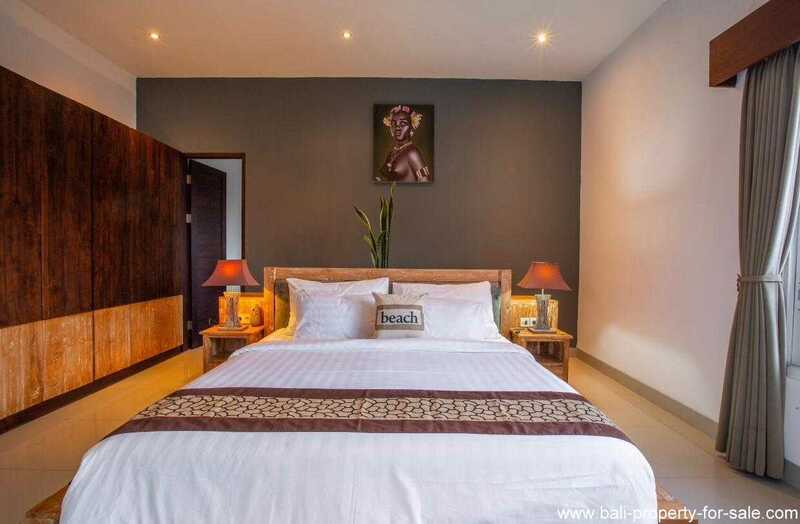 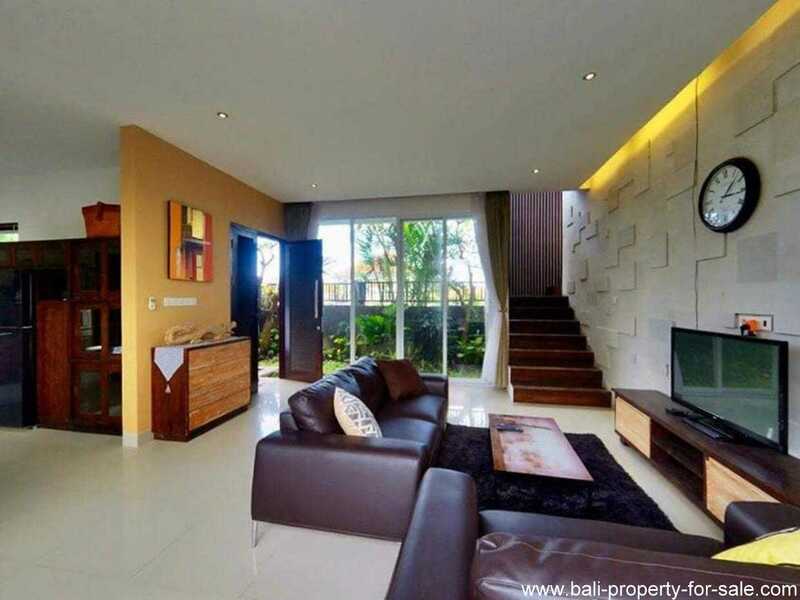 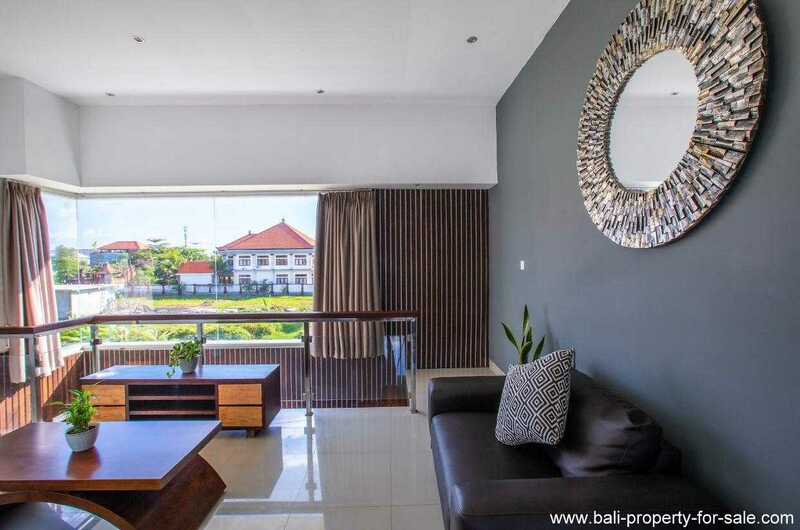 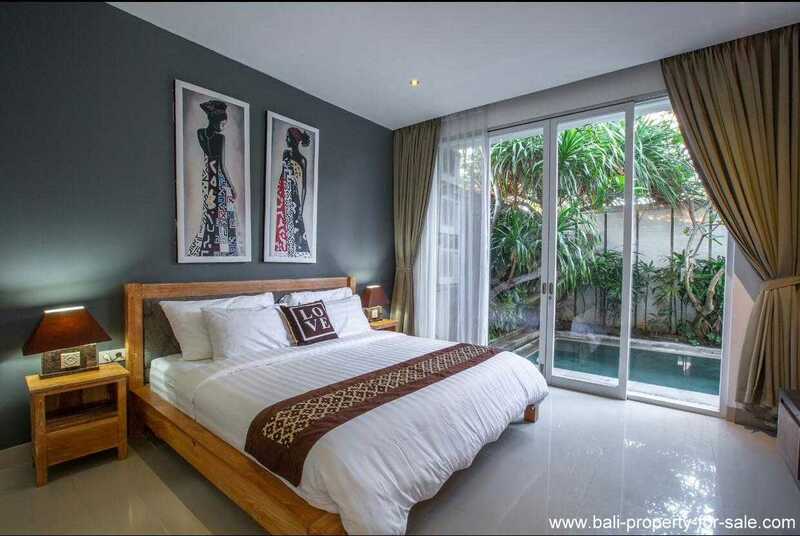 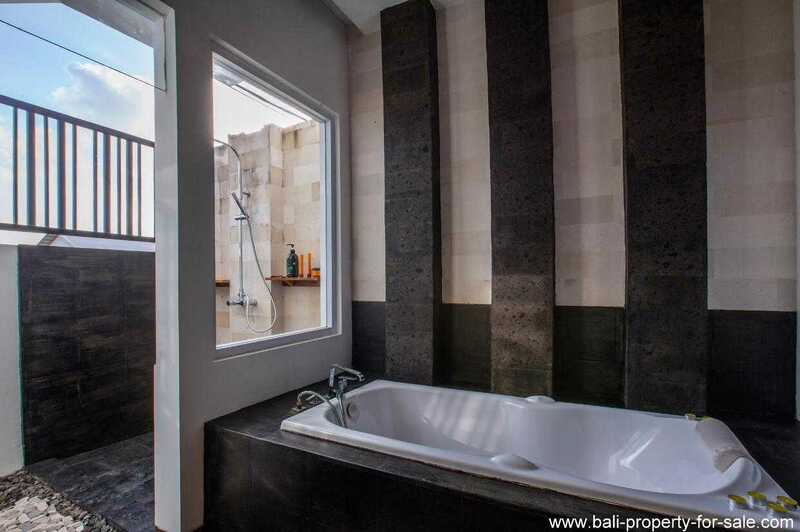 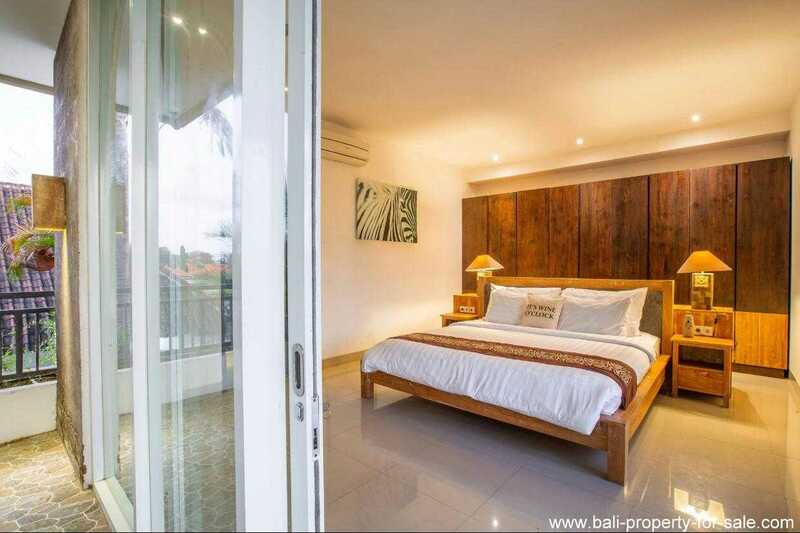 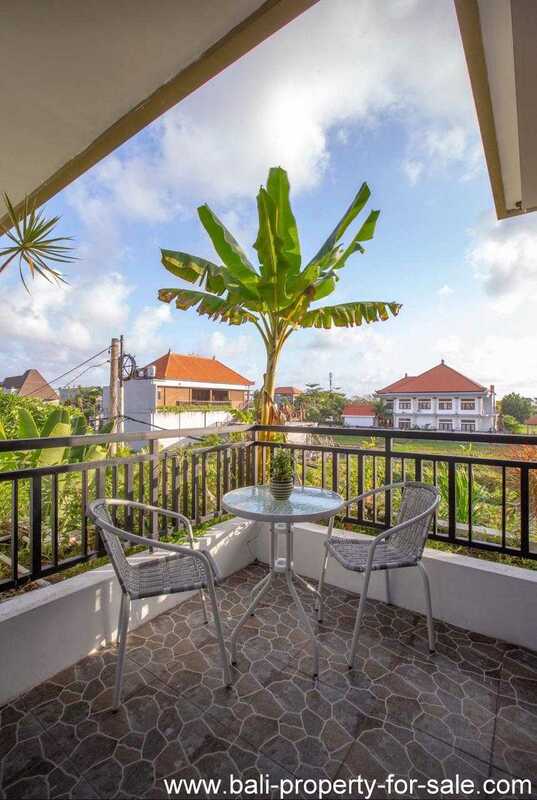 This townhouse is located on a short walking distance from Finns’ Beach club and the beach in Berawa. 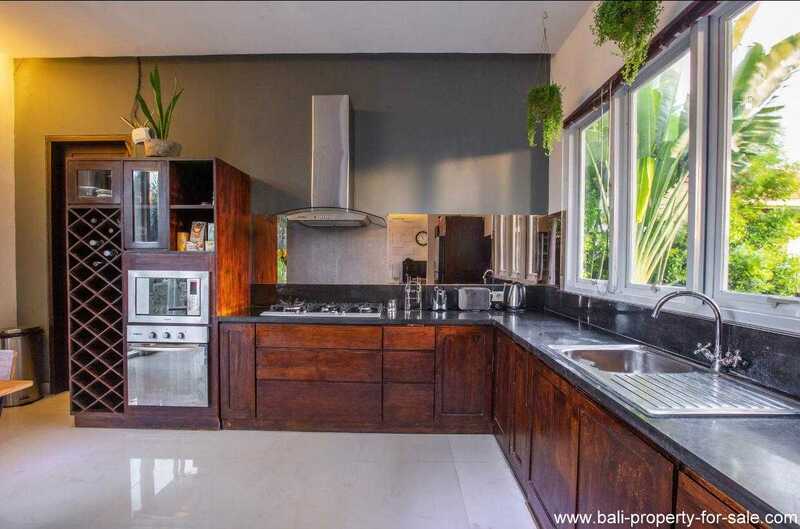 This is a perfect house for a family or for someone who wants to rent out some rooms. 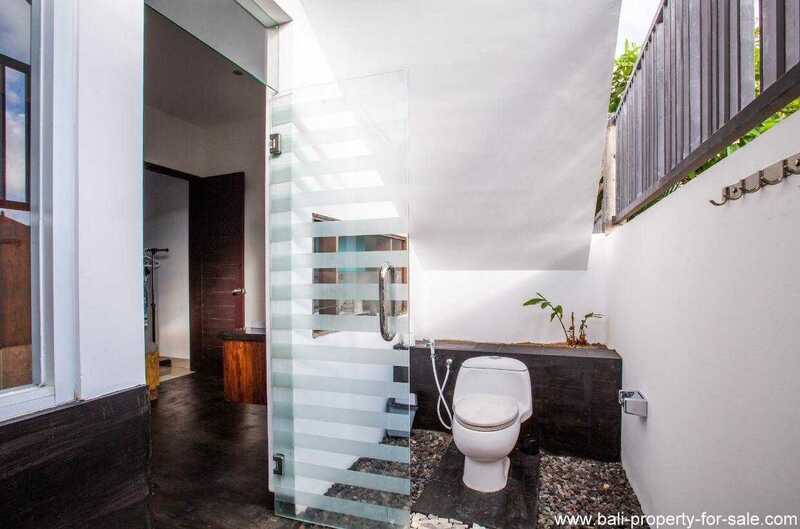 This townhouse consists of 2 floors. 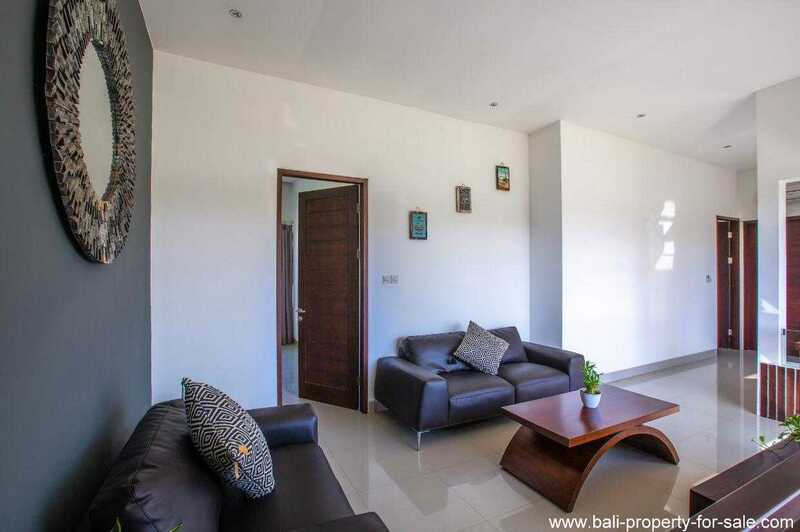 On the ground floor you will find the spacious living room with an attached open kitchen and dining area. 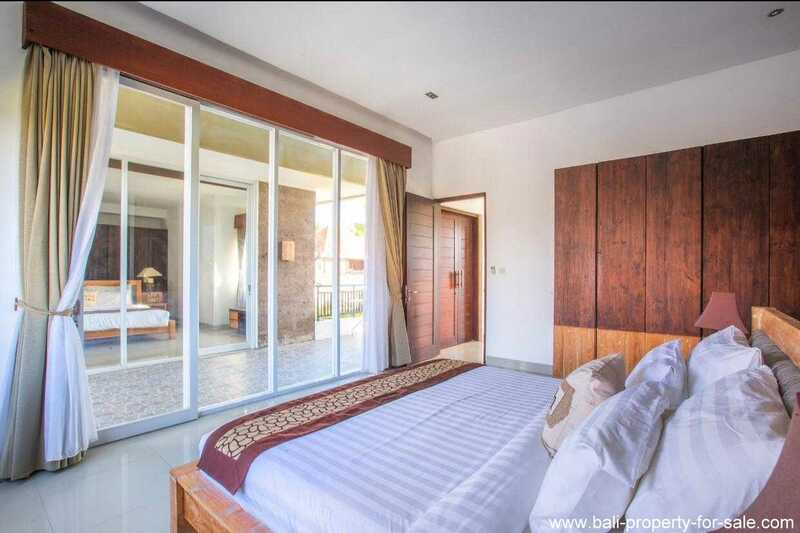 One door is leading to the master bedroom. 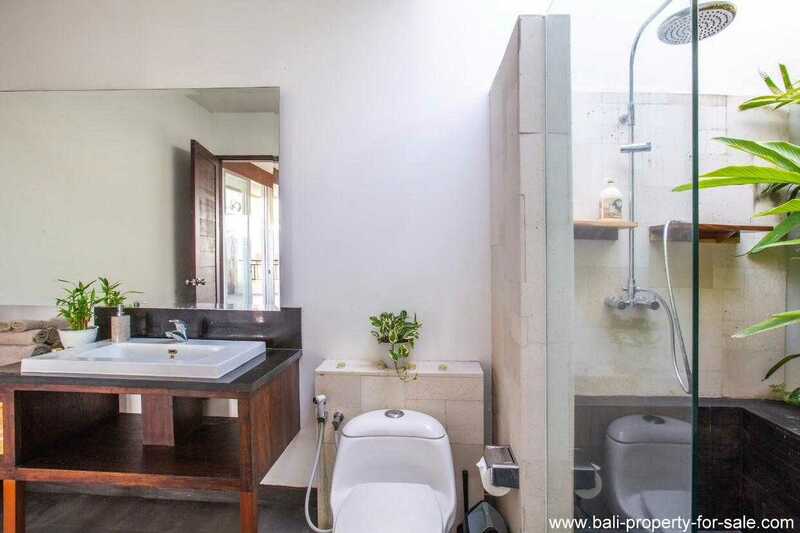 A large bedroom with its own en-suite partly open bathroom. 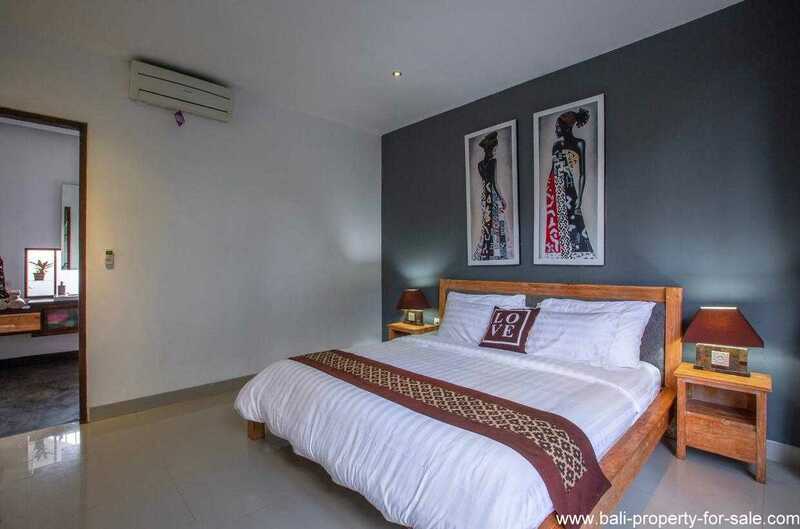 The staff quarters and storage can also be found on this ground floor. 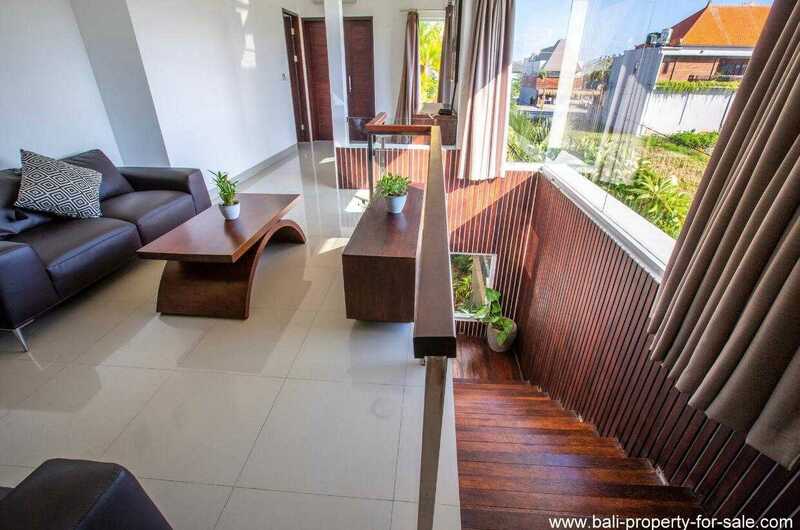 Getting up to the first floor and here you will directly enter the additional living or entertainment room. 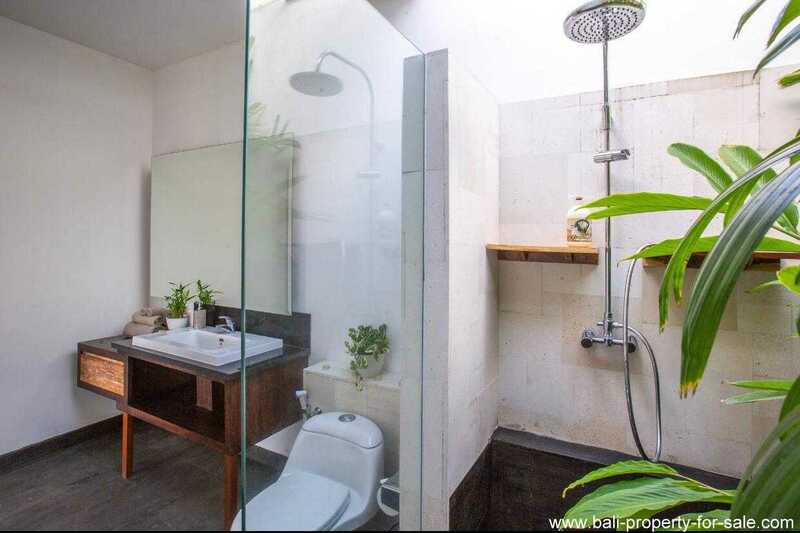 A large space where you can create a small office or simply use it as an extra living. 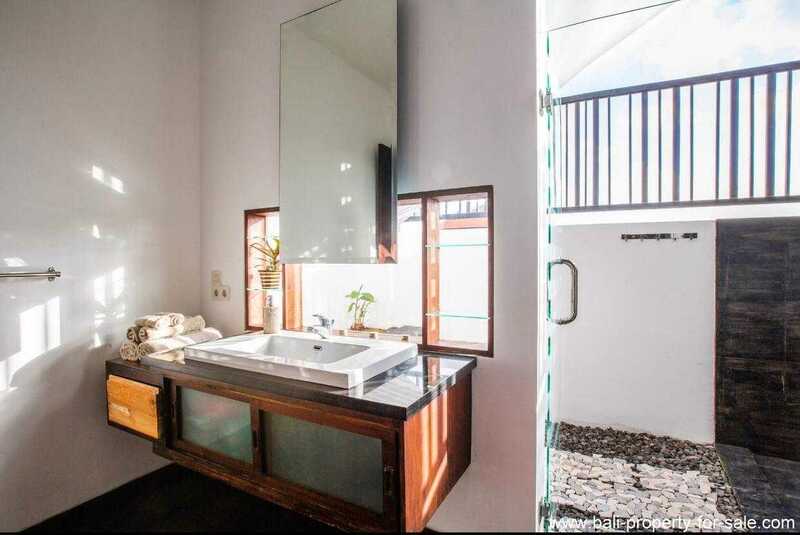 You will find three doors on this floor. 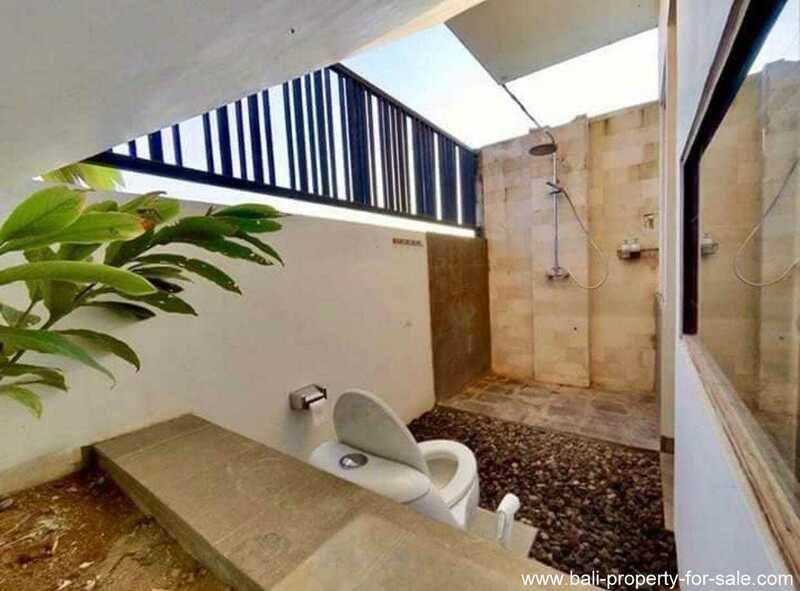 The first one is giving access to a small room. 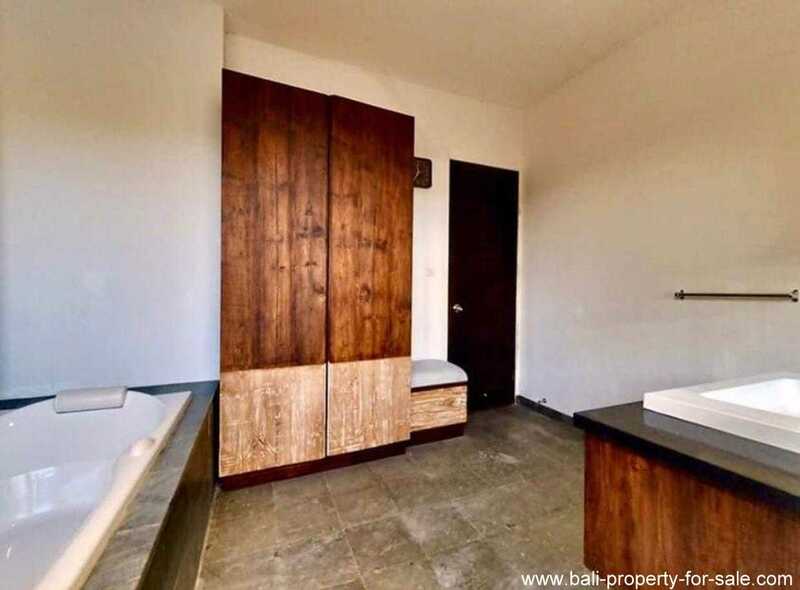 This room can be used as a massage room, office or it is even possible to make a small extra bedroom out of this. 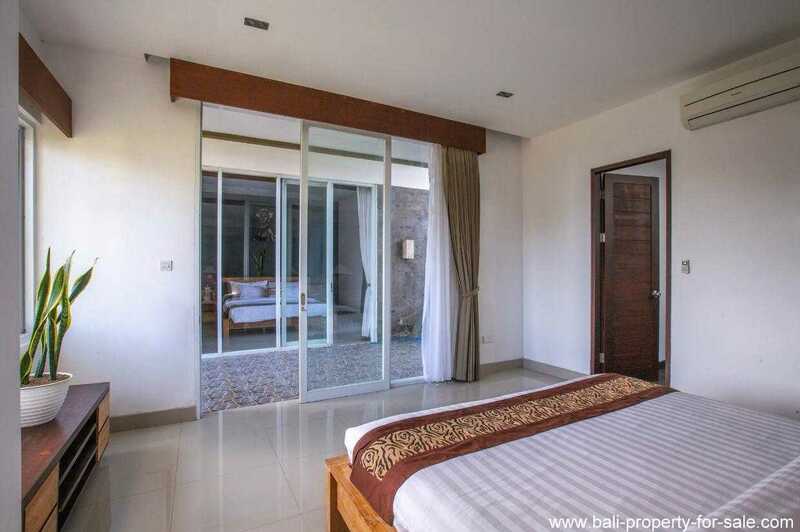 The other door is leading to the second bedroom, a bedroom with its own en-suite bathroom. 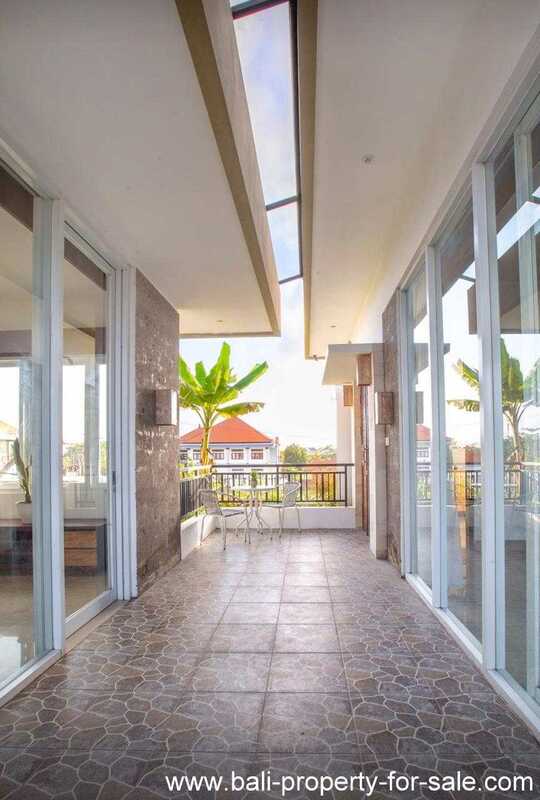 The last door is giving access to a partly covered terrace. 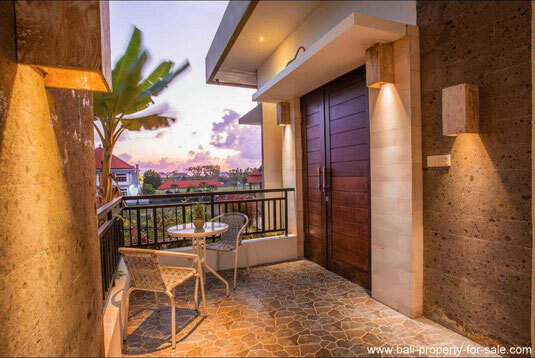 A terrace where you can enjoy a nice sunset, overlooking the near surroundings. 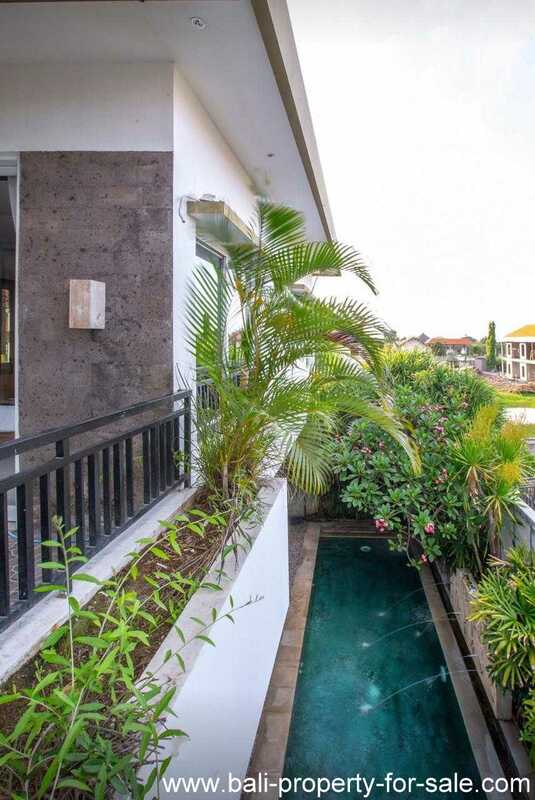 As mentioned above, this townhouse is having 3 bedrooms. The last bedroom you will find on the other side of this rooftop terrace. 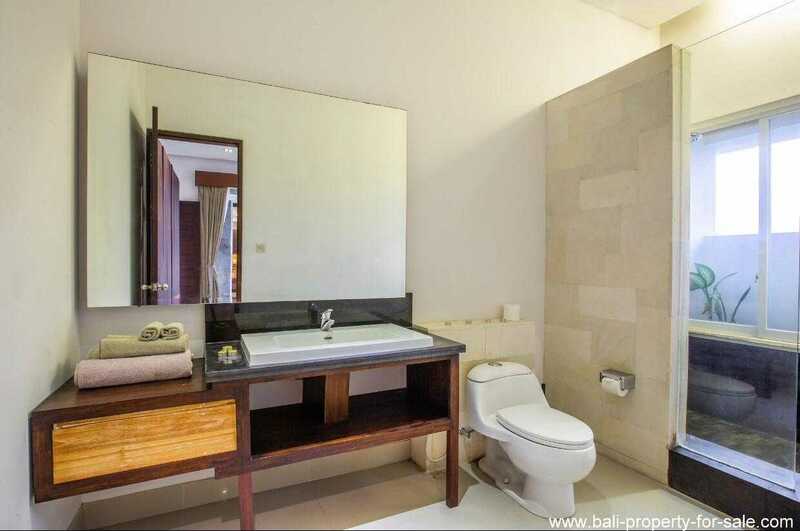 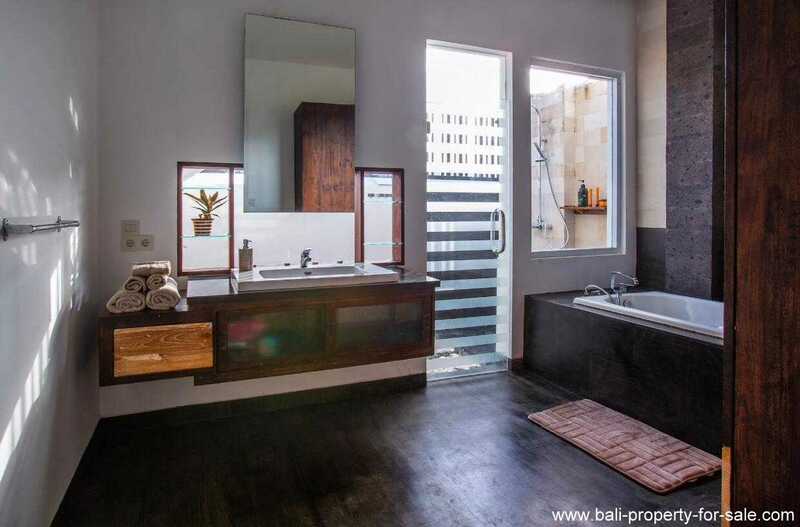 Also this last bedroom is having its own en-suite bathroom. 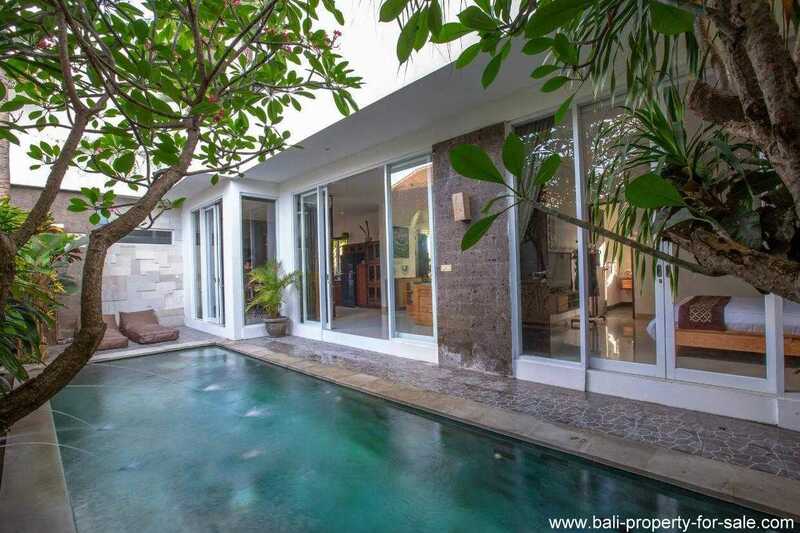 In the garden at the back you will have a swimming pool with pool deck. 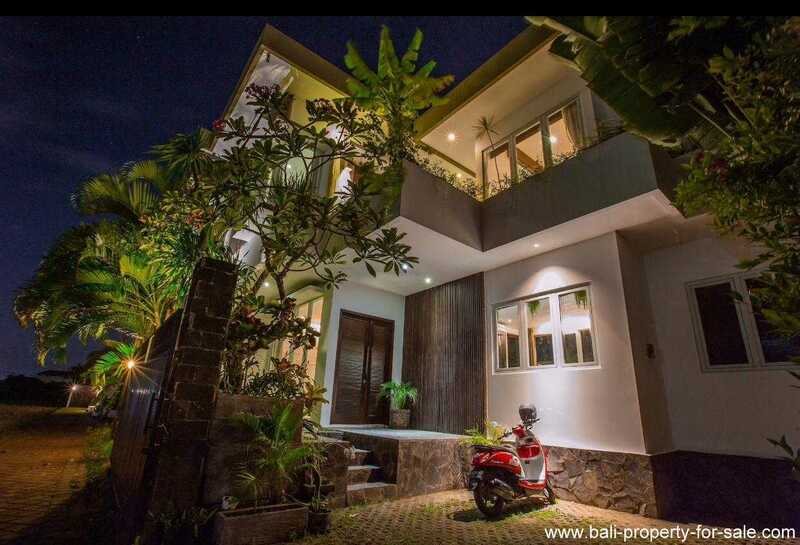 In front of the house is a parking, large enough for a car and some motors. 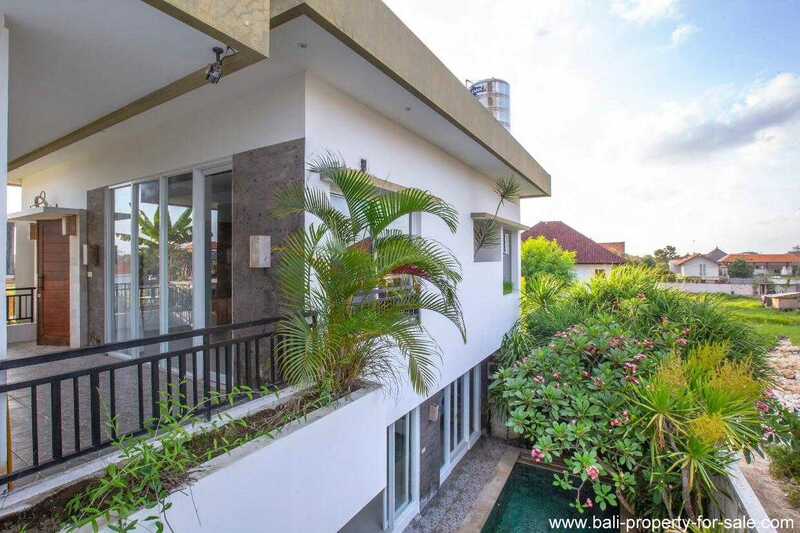 This house is located only 800 meters away from Finns Beach club. 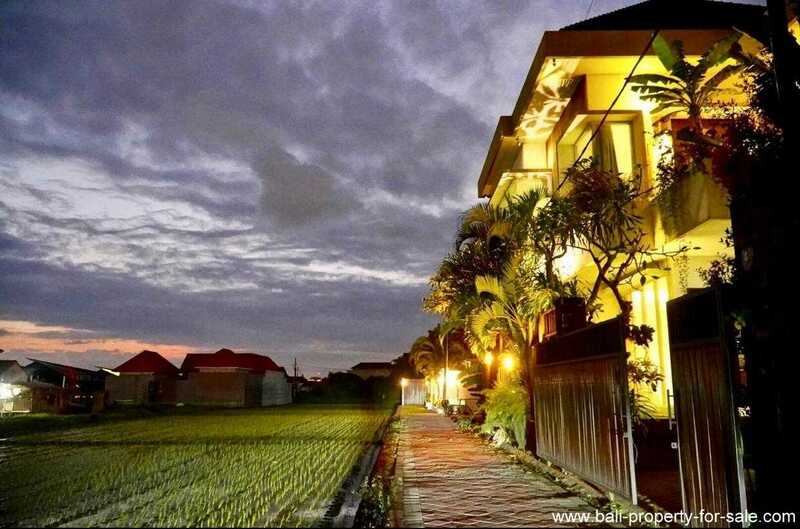 Before you are getting there, you already have passed many different kind of restaurants and shops. 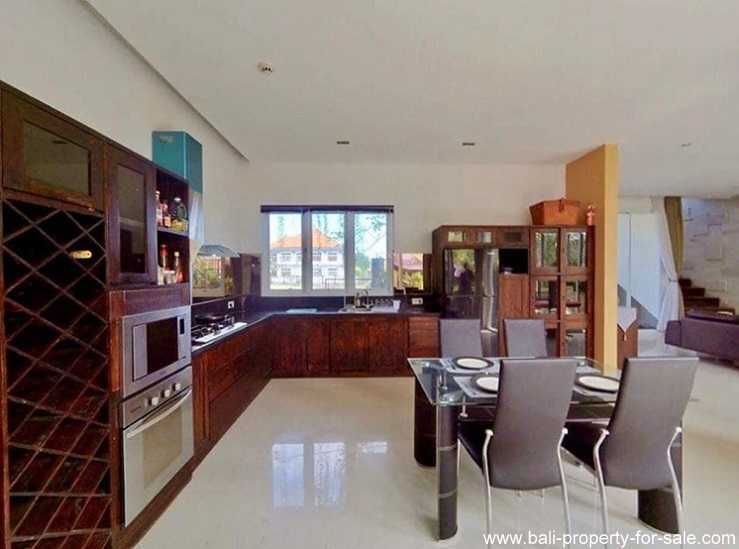 On just a few minutes walking distance you already find plenty of commercial shops and supermarkets. 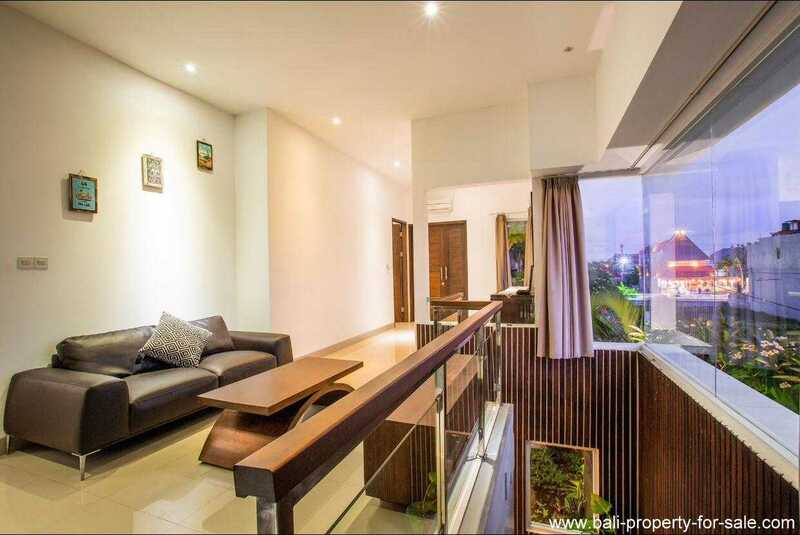 You will live here in the center of the hustle and bustle. 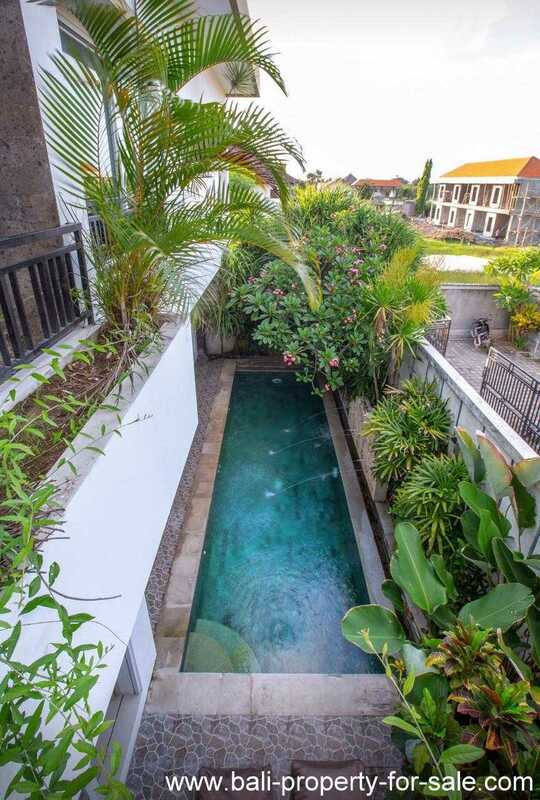 The Canggu Club and international school are just a few minutes driving away.